At Noto Group, we have the good fortune of working with amazing clients and candidates… and some people are both! 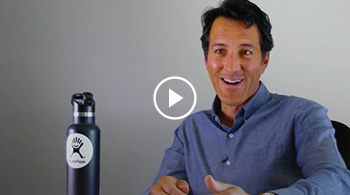 In our latest video, Mike Wallenfels, VP of Sales for Hydro Flask (plus former CEO of Timbuk2 and President of Mountain Hardwear), talks about his experiences on both sides of the Noto Group equation. Mike has been a key player in the Hydro Flask story and part of the executive leadership team whose efforts quickly led to the sale of the company to Helen of Troy in 2016. Want to learn more? Watch this video to learn how Noto Group partnered with Hydro Flask to identify key industry talent in a phase of explosive growth and constantly evolving needs.